Please click on any of the following images to go to the full size version. Album cover images are now included on the appropriate Album Discography page. With "The Real Don Steele". A still from 'C'mon Let's Live A Little'. Black and white photo from 1972. 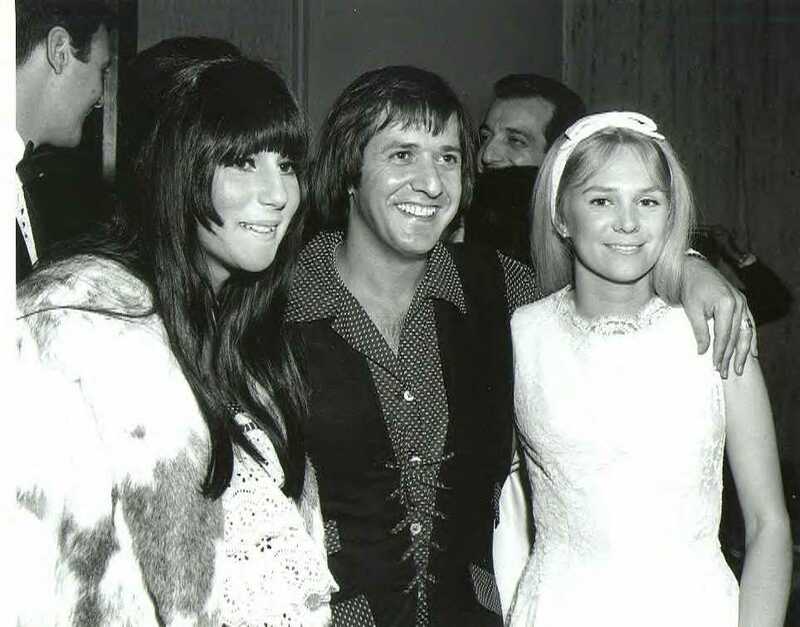 Sonny & Cher and Jackie DeShannon attending the Annual Grammy Awards in Los Angeles,1967. Another early black and white photo (with friend!). The original JDSAS logo picture. "Are You Ready For This" album. Early Black & White photo. 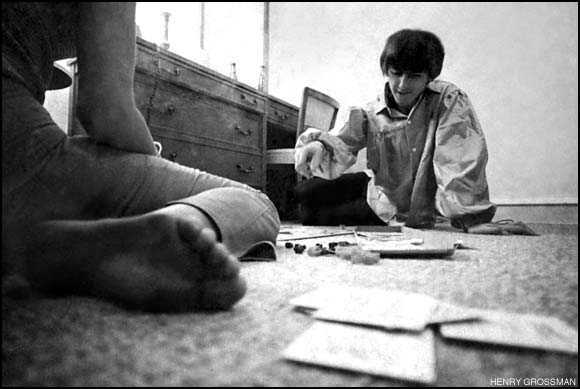 Jackie playing Monopoly with George Harrison during the 1964 North American tour. "THEY WERE SO STUCK," says Grossman sadly. 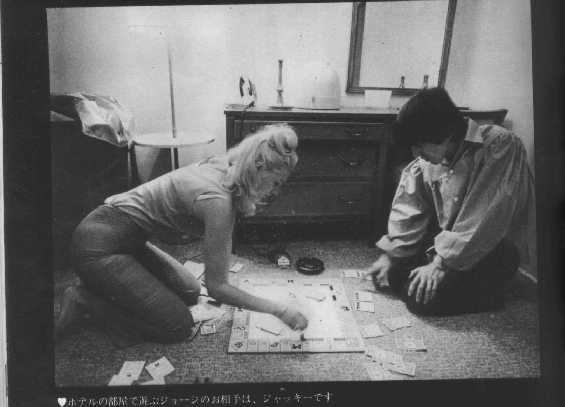 This picture of George playing monopoly with Jackie DeShannon (best known for her 1969 hit, "Put a Little Love in Your Heart") was taken during the Beatles' monster tour of America in 1964, when they played 26 concerts in 34 days. 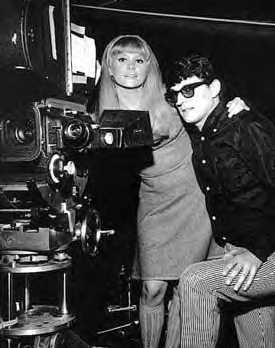 "I asked Ringo, 'How do you like America?,'" Grossman recalls. "And he said, 'What do you mean, America?' Then he walked to the window, pulled aside the curtain, and there I saw a parking lot and the back of another hotel across the street. 'This is all we're seeing of America,' he said." 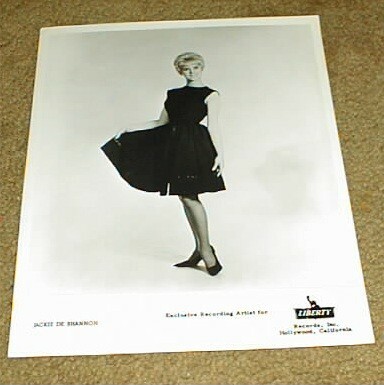 Some of these pictures are of items sold through eBay, the internet auction house, searching under either, "Jackie DeShannon",or, "Jackie de Shannon".